When it comes to investing in a new home, thereâ€™s hoping you made the right choice â€“ and knowing you made the right choice, with Ansca Homes. With his inherited passion for quality craftsmanship, superior construction and unwavering integrity, Angelo Scardina founded Ansca Homes to provide home buyers with a better choice. Angeloâ€™s dedication to the Old World principles he learned from his father, along with his determination to build a family business focused on designing and creating beautiful and functional homes, is now four generations strong â€“ and continues to prosper. Ansca Homes has grown into a leading Florida home builder proudly led by the experience of Angelo Scardina; his son Charles Scardina, president of the company; his son-in-law Ramsey Akel, vice-president; and his grandson Charles Scardina Jr., representing the next generation. With the vision and resources to continue to create homes and new home communities that feature uncompromising excellence and attention to detail, Ansca Homes continues to lead the way. For more than a century, thousands of homeowners have relied on Anscaâ€™s ability to find exceptional properties, plan and build homes that will define their lives and create equity for their families for years to come. The success of Ansca Homes has always been achieved by adhering to our basic principles: create the best and the most lifestyle-enhancing homes in both our active adult and family communities; build homes of superior quality that provide unsurpassed value and comfort for our customers; and operate our privately-held family business ethically, astutely and insightfully. To consistently offer what homeowners of every generation want and need, Ansca Homes focuses on the human touch â€“ first, last and always. Our family and long-term staff are dedicated to providing a superior home down to the last detail, we spend more time in the field than the office overseeing the creation of our communities, from groundbreaking to final completion. As a family business with a history of building homes and communities that respond to our customersâ€™ desires, Ansca Homes knows that building relationships with the people who live in our homes and communities is essential. The Ansca family tradition provides its buyers with more than just a great home, it provides an unparalleled lifestyle. Ansca Homes took the word â€œlifestyleâ€ into a whole new dimension. Every neighborhood, every community has such an abundance of recreation and activities that one need hardly ever leave the premises. Successful communities in South Florida include: Villa Borghese, Ponte Vecchio, Bellaggio, and more recently Villaggio and Isola Bella Estates. 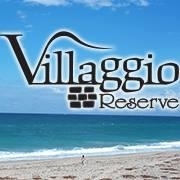 With this, Ansca Homes is very excited to introduce the next premier community, Villaggio Reserve.